You may be surprised at how many times you lick your lips or bite into food. That means whatever you put on your lips is getting into your stomach. 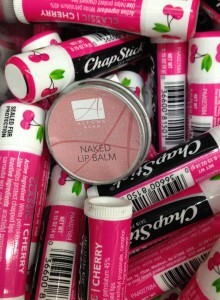 You may want to wear something made from food quality oils and butters, like Alegna Naked Lip Balm. How much lipstick do you think you eat?